Know about our Board of Directors and the Executive Management who provide valuable expertise and insights in guiding the organization. Mujahid has been with Mistral since its inception in 1997. He has played a crucial role in transforming Mistral from a board-level solution provider to an end-to-end system solution provider. Mujahid started his career at Mistral as the Sales Head of Bangalore region, moving on to be the Country Manager (Defence Business). He last served as the Senior Vice President of Mistral’s Defense Business Unit before taking charge as the CEO. His market knowledge and business experience has been instrumental in successfully driving innovation and growth. Mujahid holds a Bachelor’s Degree in Mechanical Engineering from BIT, Bangalore, India. Anees, co-founder of Mistral, has played a guiding role in moulding the company to become one of the most respected global players in the embedded technology domain. He is actively involved in the strategic planning and new business initiatives of the company with his astute business acumen and exemplary vision. 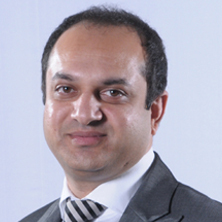 An entrepreneur since the age of 23, Anees also has over 25 years of Sales and Business Development experience. 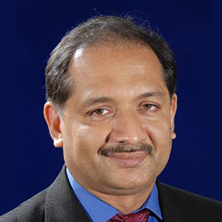 Prior to setting up Mistral, Anees had a successful career at Pertech Computers Ltd. and Cranes Software. Anees holds a Bachelor’s Degree in Computer Science Engineering from BIT, Bangalore and is a graduate from MIT’s “Birthing of Giants” program, attended by fast-growth CEOs selected from around the world. He is also an active member of Entrepreneurs Organization (EO) and Young Presidents Organization (YPO). Rajeev co-founded Mistral Solutions along with Anees Ahmed. With over 25 years of hardware experience, his technical insight has helped fortify Mistral as one of the most respected embedded companies of today. The R&D division at Mistral has been set up and nurtured by him. In his role as the CTO of Mistral, Rajeev provides the technical vision that sets the tone and technology road map of the company. Rajeev is also actively involved in the day-to-day operations of the company. Having started his career at Wipro R & D, Rajeev moved on to Cranes Software as Technical Director. 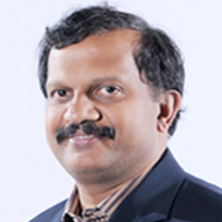 He holds an Engineering degree in Computer Science Engineering from Bangalore University and has vast experience in processor-based designs from embedded systems to VME, PCI, cPCI and USB bus-based systems. He has also worked extensively on Intel family and DSP-based CPUs. Anoop Agarwal is a qualified Chartered Accountant with over 19 years of experience in Financial Planning and Analysis, Compliance, Audits, Treasury, Risk Management, Corporate Governance and Due diligence. Anoop plays multiple roles at Mistral apart from handling the Finance and Accounts division. He is in-charge of the compliances department and also oversees the Supply Chain Management and Administration functions. Prior to joining Mistral in 2010, Anoop has worked with organizations like Dell International Services Limited, Sasken Communication Technologies, Acer India Pvt. Ltd and the Aditya Birla Group. Srinivas manages worldwide sales and business development operations for the Product Engineering Services (PES) vertical at Mistral. With over 20 years of experience in solution selling, software & product marketing, product engineering services consulting and business development operations, he plays a key role in customer acquisition, retention and customer relationship management. Srini has been a part of Mistral since its inception in 1997 and has greatly contributed towards moulding and growth of Mistral into a leading global technology company. Srinivas started his career as a Sales Engineer at Cranes Software post which he joined Mistral. He has a Bachelor’s Degree in Engineering from Bangalore University. 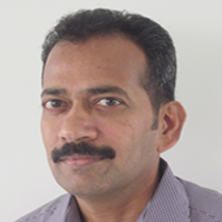 Ramanan heads the Defence Delivery team at Mistral and is responsible for System Engineering solutions. With an expansive Embedded Systems career spanning over two decades, Ramanan brings with him expertise in Defence embedded applications and design architecture. He manages a team of expert engineers who are dedicated to architecting systems for Defence embedded applications, integration and technical support. He ensures Mistral remains in the forefront of bringing technological advances to the Indian Defence Industry by being updated on latest technological advancements. Ramanan started his career at Smart Transducers as an Embedded Applications Engineer and later worked at Dynalog Marketing Services, Cranes Software and Epsilon Control and Automation. He holds a Bachelor of Engineering Degree in Electronics and Communication from Bangalore University. He holds a Bachelor of Engineering Degree in Electronics and Communication from Bangalore University. With over 26 years of experience in the field of Electronics Hardware Design and Product Development, Selva has been instrumental in shaping Mistral’s world-class offerings in the areas of Product Engineering Services (PES). As Vice President –Engineering, Selva’s technical expertise plays a decisive role in guiding teams to build path-breaking products and development tools on leading platforms. Selva has extensive experience in VLSI designs (Chip designs), High-speed Layout Design & Analysis and IP creation. He has worked extensively on various Defence and Aerospace projects like Radar Data acquisition and processing. Selvaraj started his career as a Field Application Engineer with Digipro Systems Pvt. 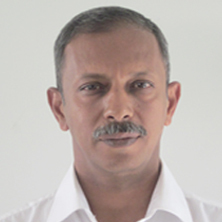 Ltd. Selva has been with Mistral since its inception in 1997, prior to which he worked as Senior Design Engineer with Cranes Info Tech where he was actively involved in the design & development of DSP based products. As Vice President –PES , Selva specializes in Business planning, Team strategy, Group management , Design architecture, Delivery and Customer satisfaction at Mistral. Selva’s technical expertise plays a decisive role in guiding teams to build path-breaking products and development tools on leading platforms including, in-flight entertainment systems, e-book readers, Industrial Cameras, head-mounted devices , bar-code scanners among others. Having been with Mistral since its inception, Selva also has extensive experience in VLSI designs (Chip designs), High-speed Layout Design & Analysis and IP creation. He has worked extensively on various Defense and Aerospace projects like Radar Data acquisition and processing. Selvaraj started his career as a Field Application Engineer with Digipro Systems Pvt. Ltd. Prior to joining Mistral he worked as Senior Design Engineer with Cranes Info Tech where he was actively involved in the design & development of DSP based products. 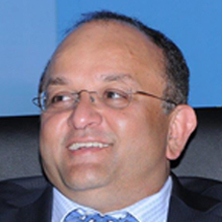 Anees Ahmed is the Chairman and Managing Director of Mistral Solutions. He co-founded the company along with Rajeev Ramachandra, in 1997, positioning it as a niche technology company offering end-to-end embedded solutions. An entrepreneur since the age of 25, Anees, has played a guiding role in molding a company started with a handful of enthusiastic engineers to become one of the most respected global players in the technology domain. Anees has over 25 years of Sales and Business Development experience and with his astute business acumen and exemplary vision, is actively involved in strategic planning and new business initiatives of the company.Prior to setting up Mistral, Anees had a successful career at Pertech Computers Ltd. and Cranes Software. Anees holds a Bachelor’s Degree in Computer Science Engineering from BIT, Bangalore and is a graduate from MIT’s “Birthing of Giants” program, attended by fast-growth CEOs selected from around the world. He is also an active member of the Entrepreneurs Organization (EO). 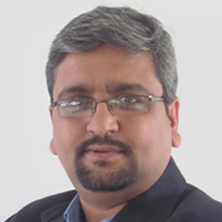 One of the founders of Mistral, Rajeev is the Vice Chairman of Mistral Solutions. Mistral’s quest for technology excellence is fuelled by his undeterred passion for engineering. With over 25 years of management and technology experience, Rajeev set up and fostered the Engineering division at Mistral. A BE in Computer Science Engineering from Bangalore University, Rajeev started his career at Wipro R & D, and thereafter moved on to Cranes Software, as Technical Director. There, he is credited with the setting up the company‘s Research & Development unit and guiding its growth into a full-fledged design services outfit. His technical expertise has played a pivotal role in catapulting Mistral to the elite league of the most respected technology companies. 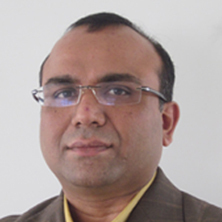 Mujahid Alam is a Director on the Mistral Board and is the CEO of Mistral Solutions. Having been with Mistral since its inception in 1997, Mujahid has been instrumental in building a technically knowledgeable and extensive sales force that addresses the challenging requirements of some of the leading Defense Labs in India. Mujahid’s technology-driven sales and marketing experience have played a decisive role in harnessing Mistral’s technical expertise, towards delivering products and projects to meet customer expectations, thereby. Mujahid holds a Bachelor’s Degree in Mechanical Engineering from BIT, Bangalore, India. 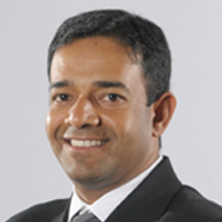 Kaushik Sarkar is one of the Board of Director of Mistral and is the Chief Financial Officer of Axiscades. His experience spans over two decades in the field of Financial and Business operations. His professional expertise includes Business Partnering, driving operational efficiency and Automation, Financial Planning and Analysis, Instituting internal control and systems, Strategy and acquisitions, Relationship and Change Management, Treasury, Tax & Compliances. In his earlier role, Kaushik has been a Senior Director and Head of Finance and Operations for Adobe Systems India, responsible for growing the Indian operations and driving profitability. Prior to that he spent 8 years as Senior Director Finance for Oracle in India and in USÁ. He has a wide ranging leadership experience with Siemens India and in Germany for around 8 years. In his role, he was managing finance and commercials of Projects, Process Automation business and manufacturing operations in India. Kaushik is a post-graduate in Commerce and a qualified Chartered Accountant and Cost Accountant by profession. Mr. Ashwani Kumar Datta is the Ex-Chairman & Managing Director, Bharat Electronics Limited (BEL). As CMD of BEL, he achieved new milestones in terms of growth in order book and profitability with enhanced thrust on focus areas such as new product development, offset business, diversification and contract manufacturing. 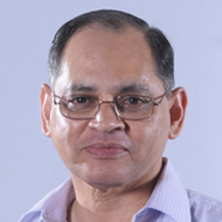 Mr. Datta graduated in Mechanical Engineering from Delhi College of Engineering in 1972. He joined BEL at Bangalore in January 1973 and has seen the company grow from a single Unit to multiple Strategic Business Units. He has extensive experience in Development & Engineering, Production, Quality Assurance and installation / commissioning of complex Radar & Communication Systems. He rose to the post of a Director in 2006 and was elevated as CMD in 2009. He has the unique distinction of having headed 8 of the 9 Units of BEL during his career. After a memorable 40 year stint at BEL, Mr. Ashwani Datta also held the distinguished and honorable position of Member, Public Enterprises Selection Board (PESB) for the Govt. of India. Mr. Datta’s vast experience and insight will help guide Mistral’s strategy and vision in the domestic & International Defense Electronics Business. He will also steer Mistral’s plans to address Defense offset opportunities. Arun Sinha is a visionary with over 30 years of experience, having served in senior management positions in leading companies in the IT sector in countries like India, Singapore among others. He is best known in the industry for the transformational roles he has essayed as the Managing Director of Acer India Pvt. Ltd. and AgreeYa Solutions, a U.S based software organization. Known for his social concern, for the past seven years he gave up his successful corporate career and has been working towards providing quality care in health and education to the under-privileged sections of society. He has been associated with Scale, an NGO providing easy access to primary health care, quality education and checking environmental degradation. 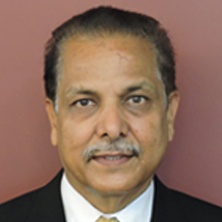 Arun Sinha obtained his Master’s Degree from St. Stephen’s College, Delhi University. He has also attended the III TP course from IIM, Ahmedabad. Arun Sinha vast experience and insight have been critical elements in achieving the ambitious growth plan envisaged by Mistral’s Management Team. After working as product outsourcing Manager with AMP (now TYCO), KB founded Sienna Corporation in 1995 in the Bay Area, CA to cater to the growing demand for providing value added manufacturing solutions from the US and India. Today the company has long term manufacturing solutions for several leading global companies in the domains of Railways, Aerospace & Defence, Telecom, Industrial Electronics and Power Electronics. The US operations are based in Atlanta GA, Fremont CA, Batesburg SC (Railways), East Windsor CT (Aerospace). The India operations, Avalon Technologies are located in Chennai and Bangalore. KB has completed his Bachelor’s degree Mechanical Engineering from PSG Tech, Coimbatore and Masters in Industrial Engineering from Wichita State University.